The driver in a fatal crash that killed three children from the same family and injured a fourth boy has been charged. Police say two of the children were 6-year-old twins, WSBT reported, and they were with their 9-year-old sister. The injured child was taken to a Fort Wayne hospital by helicopter. He suffered multiple broken bones and other injuries. 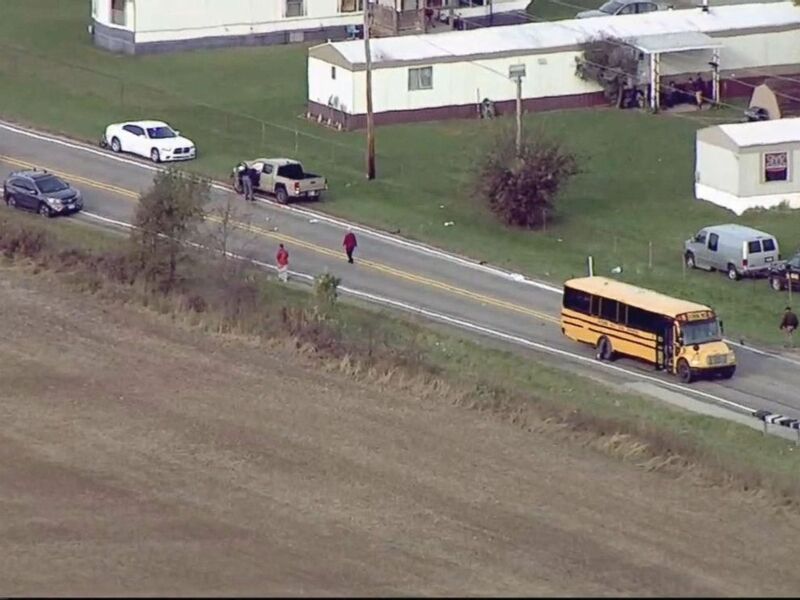 Around 7:15 a.m., the four kids were waiting for a school bus in rural Rochester, Ind., when the bus rolled up, activated its stop arms and exterior lights and waited for the kids. Shepard was driving the pickup truck in the opposite direction when it struck the students. Court documents say Alyssa Shepherd got out of jail Tuesday evening after posting a $15,000 bond on reckless homicide charges. Lutheran EMS, the Fulton County Coroner's Office, Rochester Fire Department, Mentone Fire Department, Rochester School Corporation and the Fulton County Sheriff's Department assisted at the scene. Police said the bus had its stop sign deployed. Tony Slocum. "And, if you're traveling in the early morning hours or mid to late evening hours, expect school buses to be out and when they activate that stop arm, you're gonna have to stop". The area where the crash happened is in the Tippecanoe Valley School Corporation. Several viewers have asked us to confirm that this is a legitimate way to donate to the family. He urged IN residents to send their "deepest prayers for the strength needed to endure such a time". "I walked up to one of tenants in the trailer park".